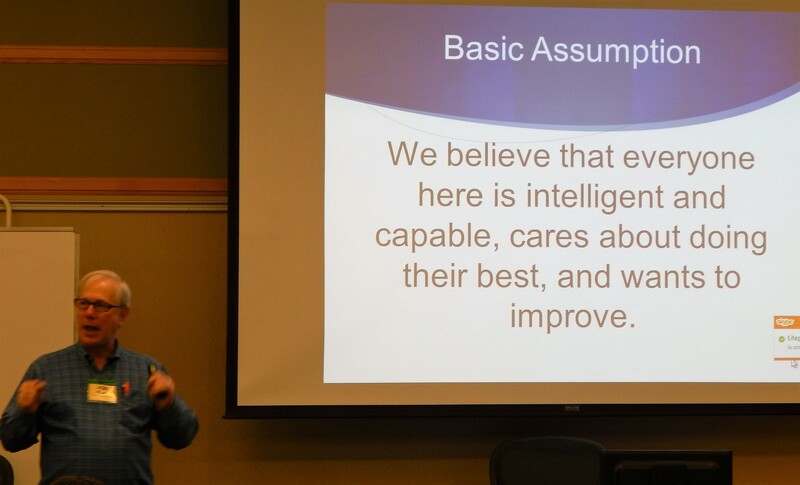 "This conference is a great way to connect with the community bringing system dynamics and systems thinking practice to schools." John Sterman, Peter Hovmand, David Wheat, Tracy Benson, Brad Morrison, Rebecca Niles. Below are the presentations and documents from the CLE conference in 2016. If you missed the most recent conference and you want to make sure that you do not miss the next one please register with the Creative Learning Exchange. How can we respond to climate change? Does the Paris climate agreement deliver us from climate catastrophe or is it another diplomatic disappointment? Can we build an economy powered by clean, renewable energy in time? What can we do, as teachers, students, and citizens, to build a safer, sustainable world in which all can thrive? We’ll explore these questions with interactive simulations of the climate and economy developed at MIT, used by policymakers and negotiators around the world. Most important, the same simulations are used in education, from middle school on up, and in nations literally from A to Z (Argentina to Zimbabwe). We’ll talk about how you can get involved and bring these experiences to your students, your colleagues and your communities. For students or adults, one of the best ways to learn about systems thinking tools and concepts is by playing games. Participants will engage in a series of kinesthetic activities which model the behaviors of systems. All activities will be debriefed using common tools such as behavior-over-time graphs, feedback loops, and stock/flow diagrams. While this workshop is designed for novices, experienced practitioners are welcome. You may have heard the phrase, “Be the ball!” from a variety of popular movies. Now you can “Be the system!” Experience simple systems, then create and play with the simple models to go with them. Make connections to a variety of contexts including math, science, and literature. A review of our past five years of integrating systems tools throughout K-12 programs to impact instructional practice, increase stakeholder involvement, and improve school culture in the Milton Area School District, Milton, PA. We used the supervision and the evaluation process as a systems tool for team learning, building a stronger K-12 shared vision for learning and teaching, and for celebrating our work as educators. Our session will share the models and causal loop interactions that we have put into place. 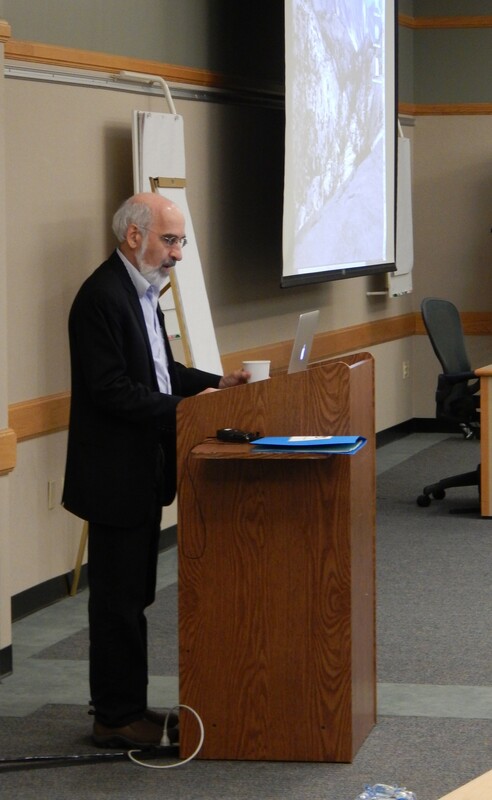 "I was very impressed with the variety of points of view among participants. Their vantage points within the modeling community ranged from expert modeler to administrator to teacher to non-profit consultant, and I found that most conversations were extremely engaging and thought provoking." Alan Ticotsky, IACS and Rob Quaden, Carlisle Public School. This workshop examines both the practical and philosophical aspects that contribute to a dynamic, learner-centered classroom. We will look at teaching and learning from several points of view, using a variety of systems tools to consider our mental models and the structures we create. Participants will engage in hands-on activities that can be used to deepen their own thinking and can also be used with students in a variety of classes and grade levels. No previous experience is necessary, and the session is suitable for classroom teachers, administrators, and other educators. Our goals for this session are to explore the language of standards and the pedagogy of modeling systems, see/hear educators working together across disciplines/across grades, and create a collaborative space, surface existing thinking of others and have a productive conversation. STELLA, which you came to know and love in the classroom, has evolved, and changed the capitalization of its name. Building and using models with Stella has gotten easier, and creating web based simulations is now a menu click away. Bob Eberlein will discuss the changes and give anyone who brings a computer to the session a chance to follow along and see how the new features work for themselves. This session will provide an overview of the resources available to help work with system dynamics in the classroom. The overview is designed to introduce people to the plethora of options available. It will focus on the content available at the CLE and on other programs and apps that have been released in the past two years. The panel will present two different, university-based approaches to mentoring students in systems thinking/dynamic modeling. 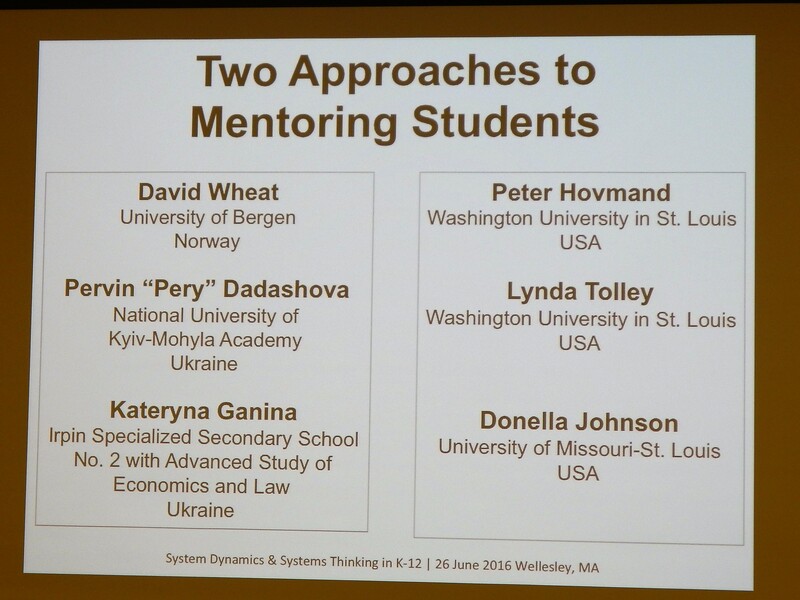 Professors David Wheat and Peter Hovmand will each provide a brief overview of their respective mentoring programs, followed by panelists Pervin “Pery” Dadashova, Kateryna Ganina, Lynda Tolley, and Donella Johnson sharing their reflections on how they became involved in systems thinking/system dynamics, what were some of the most challenging barriers, and the role of institutional supports. Peter Hovmand, Lynda Tolley, and Donella Johnson will provide a brief introduction to “script” based group model building practice and then demonstrate the approach through a series of structured exercises that have been successfully used in classroom and community settings to facilitate conversations and develop a better understanding on topics from racial tension to student engagement. Participants will experience a group model building workshop, get tips on facilitating the exercises, and receive the facilitation manual. Ready to start using ST/SD tools in your classrooms but not sure where to begin? Wondering how other teachers design curriculum that incorporates the tools without it being “one more thing to teach”? Join these two middle school teachers to learn about their approaches to designing curriculum that incorporates ST/SD models. Science probes will be used to collect data for several scenarios. The graphs generated from the science probes will be used to validate STELLA models designed to simulate the dynamics for the same scenarios. Harnessing conflict as a catalyst for change, the systems iceberg proves to be a powerful framework for critical thinking as undergraduates debrief from a critical incident on campus. Experience a slice of New York University’s Intercultural Competence Core Training recently piloted with students hailing from every continent. Take away (and generate) new ideas for using the iceberg to examine complex social challenges and to unpack the invisible aspects of culture that shape the ways we see ourselves and others. This session will provide the history, lessons learned, and next steps in the PREP model evolution with the diffusion of ST/SD content permeating PREP I-IV curriculum. The target audience includes middle and high school educators interested in vertical alignment of ST/SD curriculum, from novice to expert. In this session, we will discuss the reasons for and steps to take in building and implementing a progressive system of innovative technology in present-day Pre-K–12 learning, as well as examine a working sample of this system. Participants will discover how to recognize and select technology that is appropriate for educational objectives, how dynamic systems of technology and education can work together and benefit from each other, and what methods are ideal for painlessly incorporating technology into teaching. The session is intended to introduce the working system of tech integration for Pre-K/Elementary school teachers with low tech knowledge, but will be beneficial for all Pre-K–12 teachers. What does it mean to be literate in complex systems? Bill Green’s model of Literacy in 3D challenges us to consider subject-specific literacies in terms of three dimensions: cultural, operational, and critical. In this session, we’ll discuss key findings from new research on what it means to be culturally, operationally, and critically literate in systems across a wide range of disciplines, and we’ll explore patterns of experience among people who have developed high levels of such literacy themselves. Together, we’ll consider our own stories of becoming systems literate and how this new research may inform our work in education. Participants will engage in a systems game to introduce several systems thinking principles relevant to climate, and view a video depicting how Earth systems interact to affect its energy balance. Participants familiar with Scratch will be supported to design games and/or visualizations focused on systems related to climate change, and those new to Scratch will storyboard a systems game related to climate change concepts. 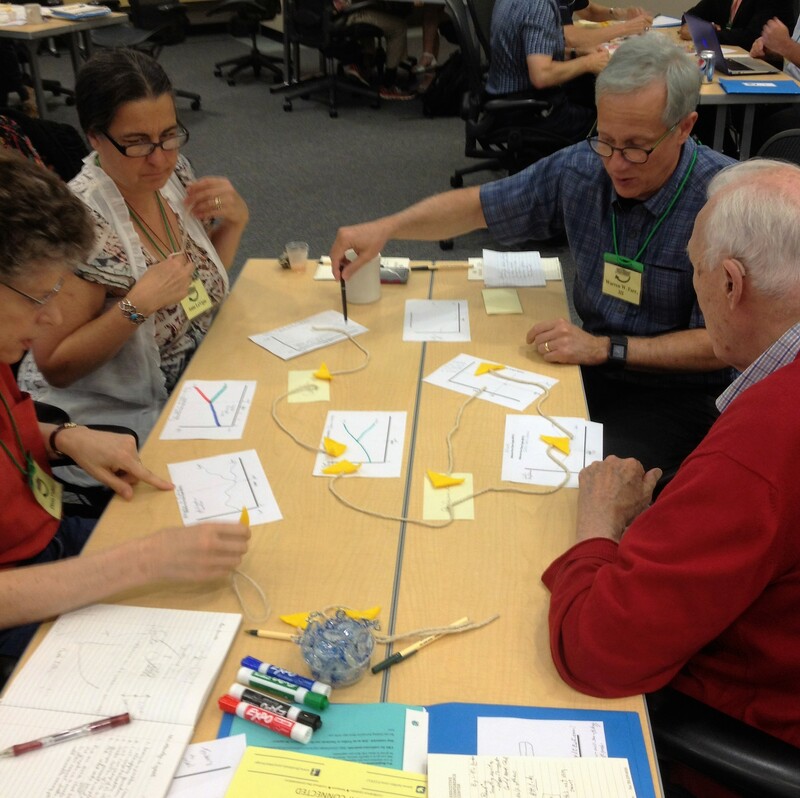 Participants will analyze student games for systems and climate science content, as well as playability. The program will introduce teachers to: a) Scratch, b) systems/computational thinking, and c) climate models and visualizations within the context of student-generated content. The facilitators will model the application of the habits of systems thinking to EfS (Education for Sustainability) related curriculum. During this workshop, you will participate in activities that will deepen your understanding of complex systems and prepare you to teach your students to think in systems. It’s our goal that participants will leave with enduring strategies to apply with their ongoing and future practice. Come and play the role of climate negotiators in Paris. Can you work with other nations to agree on a plan to limit climate change and global warming? We’ll use an interactive system dynamics simulation of the climate to see. “World climate” is an engaging educational role play now used around the world. It’s been played by students from middle school up, by senior business leaders, by senior policymakers and government officials around the world. All resources you need to learn and run it yourselves are freely available. Join a health system simulation and see if you can improve health outcomes and reduce costs! The Rethink Health system dynamics simulation is designed to support multistakeholder communication, planning, and design, to help groups establish a healthier, more equitable and sustainable health system. System dynamics is a powerful lens that brings clarity to a complex world, yet many SD models are intimidating and hard to use. Does it have to be this way? Should system dynamics be made more easy, intuitive and fun, and, if so, how? We’ll look at innovations in the fields of story-telling, gamification and next-gen computer interfaces, discuss how SD might benefit from them, and imagine the models of the future. Bring your own questions and help shape the event. When very capable students have low expectations for themselves and subsequently underperform, what can educators and parents do to address this challenge? We will use this common case to guide participants through an engaging systems thinking process. Working in small teams, participants will apply systems tools to problem definition, the identification of patterns and trends and causal interdependencies, the surfacing of ways to intervene leading to action steps. We hope to support novices and challenge the experienced using a highly participatory, practical learning environment.